Join us for an exciting selection of short documentaries, bringing the best of Sheffield Doc/Fest 2017 to the big screen in London. Highlights include this year’s Short Doc Award winner The Rabbit Hunt, New Talent special mention Übermensch and the latest film from UK-based filmmaker Charlie Lyne (Beyond Clueless, Fear Itself). A glimpse inside the cavernous belly of capitalism's bilious over-productivity, Yiwu Market in China is five miles long. Buried in gaudy goods, tempers flare and boredom reigns. Caspar Salmon recounts his grandmother’s well-worn tale of a grand opening in Anglesey populated by fish-surnamed guests. The legend unfolds, despite a few red herrings. Doctors training with medical actors is an uncanny sight. Neurologist Dr Alice Flaherty explores the act of sickness and health, the performance of truth and empathy. 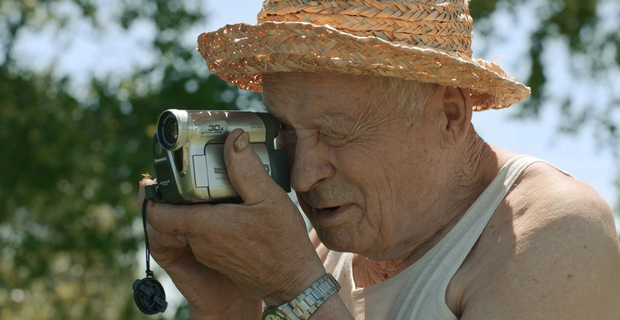 As Artiom prepares to fight for the Ukrainian army, Anatoly, his 88-year-old foster-grandfather and war veteran, records their diminishing time together and questions his choice. Clouds gather as a pair of youths prepare a ritual in a vacant coastal church in Denmark. These teen goths explore their angst and pursue their own personal Jesus. A tranquil dawn in Florida is disrupted by an urgent call. Following a century-old migrant farm worker tradition, a family rush to a flaming sugarcane field.